Hello, my name is Pungky Nanda Pratama. Since graduating with a degree in Aquaculture at the University of Diponegoro I have given my life to conservation. My home – Indonesia – is a paradise of mega biodiversity. My home, however, is changing. Logging, poaching and plantations are tearing at the green heart of my tropical archipelago. Even inside the national parks, where virgin rainforests should flourish, wild animals are wrenched into the illegal pet trade, or – worse – killed on illegal plantations as 'pests'. Since early 2016 I have been living on such a border zone outside the Kerinci Seblat National Park, in a tiny village in Musi Rawas regency, South Sumatra province. Through an environmental education syllabus, we teach primary school students about species identification, ecosystem function and environmental destruction. The aim is for the future generation to take sustainable career paths that do not endanger their very lives through landslides, flooding, food shortages, forest fires and devastating drops in the water table. For context, Kerinci Seblat National Park is the source of major rivers in southern Sumatra, and has more tigers than many Southeast Asian nations combined. The results to our programme may seem small, but they inspire me to keep going every single day. I am proud when I receive stories from my students that they removed a snake slithering into their home by using a broom, rather than killing it. Perhaps they released an animal captured on their family plantation, or that they have stopped shooting birds as a passtime. Sometimes they tell of their courage in forbidding parents to traffic wild animals, or telling fishermen not to use chemicals or go electrofishing. The Nature and Biodiversity Conservation Agency of South Sumatra (NBCASS) and the head of the Conservation Agency of Kerinci Seblat National Park for my area support my work. They kindly invite me to talk at major events in the region and sometimes accompany me in re-releasing animals to the wild. Unfortunately, funding is hard to come by in Indonesia, and since October has been cut for my education programme. I am faced with a difficult choice. Either I find work elsewhere, or I stand and fight for my country. Starting January the NBCASS want me to teach in three new primary schools, and even in other provinces if successful. My daily travels as they are can take up to seven hours, and I now have no motorbike, no funding for fuel or public transport, a broken laptop, no teaching materials and equipment, no resources for food and other travel expenses, and a simple pocket camera to share my work. This fundraiser will help me continue my programme for sixth months, from January to June 2018 – the time it takes for a class to complete the syllabus. Please watch the video and see our website www.junglelibrary.com to read stories and find out more. 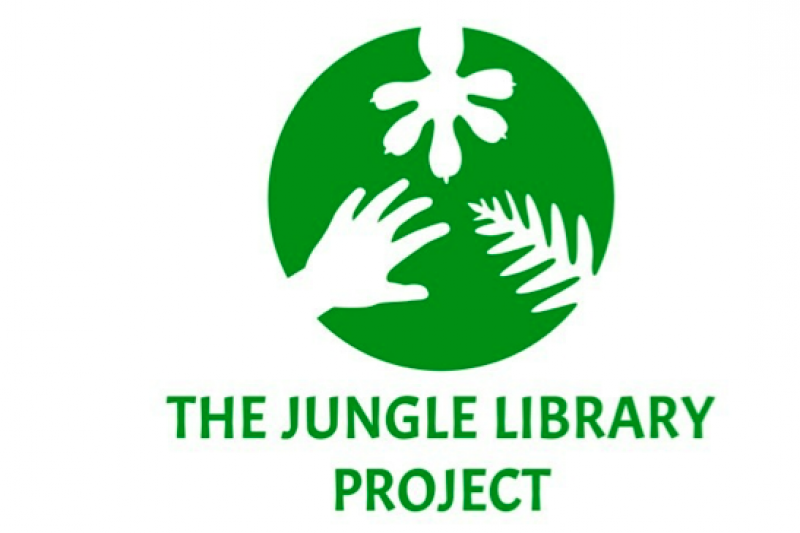 Like and follow our facebook page at: https://www.facebook.com/thejunglelibraryproject/. From the bottom of my heart, I thank you for your help. Pungky Nanda Pratama (translated by Joshua Parfitt), December 2017. - Extra funds will support Pungky's rescued orchid nursery. Video filmed by Pungky Nanda Pratama's helpers, produced by Joshua Parfitt. Music by Blue Room.